He tried to pass them off as a snack — but it wasn’t long before his plan crumbled. Earlier this month in Berlin, a 69-year-old man was detained by customs in Schönefeld Airport after he entered the security screening holding a pastry box. 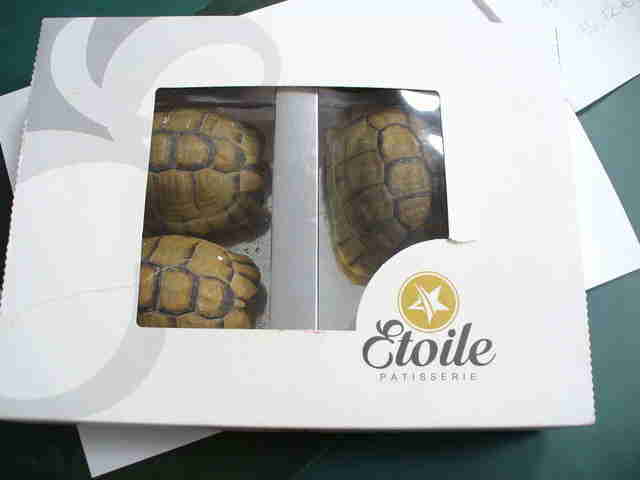 But there weren’t donuts or tarts inside the box — instead, there were tortoises. The man had just returned from visiting Cairo, Egypt, where he managed to nab the three live Moroccan tortoises and was hoping to smuggle them back into Germany. When questioned about the box, the man claimed the tortoise-shaped objects were just chocolates. Clearly, they weren’t. These Moroccan tortoises are protected by the Convention on International Trade in Endangered Species of Wild Fauna and Flora. They are now doing fine and have been placed in the care of the border veterinarian, according to The Local. 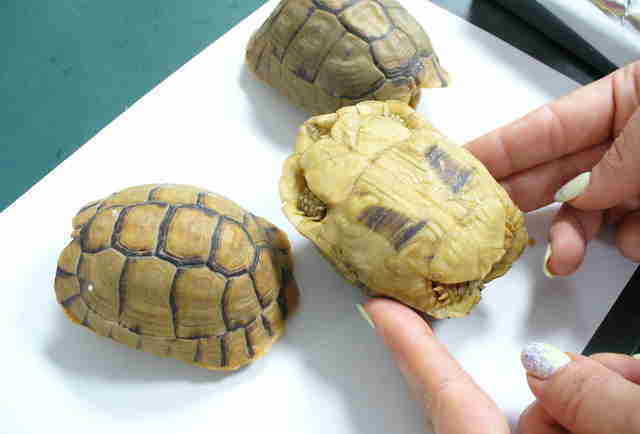 Unfortunately, it’s very common for poachers to smuggle animals in dangerous methods — and in recent years, tortoises have become very popular targets due to their slow pace. They’re especially popular in the pet trade but have also been poached to be farmed for food. Poaching of this magnitude can be grim for populations with low numbers in the wild. This is a global issue that affects even the most critically endangered species of tortoises — many of whom are at risk of disappearing completely due to aggressive poaching. Luckily, these tortoises survived their cake box ordeal — and are hopefully in the best place possible to lead happy and comfortable lives. To help turtles stay safe from poachers, you can make a donation to Sea Turtle Conservancy.